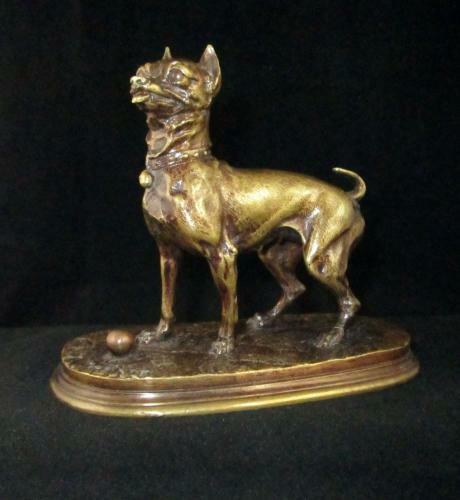 'Cropped-eared Terrier with Ball' by Pierre Jules Mene. Signed P.J. Mene. c.1860's. Patina rubbed. A good detailed cast in otherwise good condition. A rare portrait model perhaps 'Lutine' or 'Frisette'.